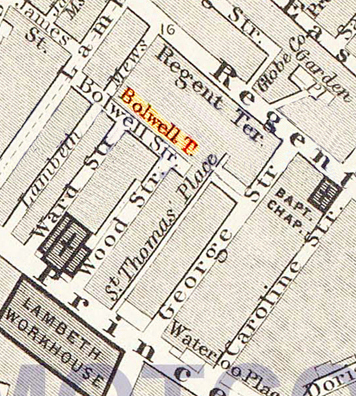 The 1891 census below shows the Cole family now living at number 17 Bolwell Terrace, Bolwell Street Lambeth. The census was taken on Sunday the 5th April.The family comprised of Henry Cole 55, his wife Jessie 55, his son Harry Cole 27, and his daughter Jessie 16. The Brampton family also shared the house. As you see the Bramptons had use of two rooms whereas the Coles had four rooms. 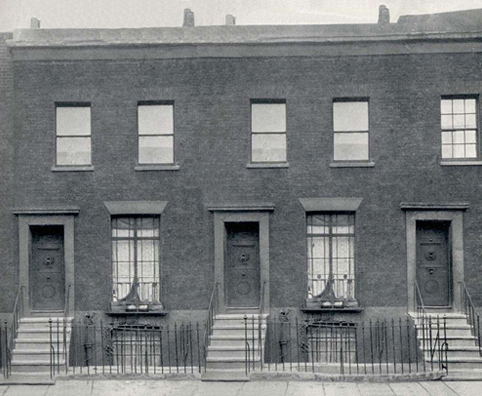 Below is an old photograph of part of Bolwell Terrace. An interesting note is that Sir Arthur Sullivan (of Gilbert and Sullivan fame) was born in this terrace in 1842. Unfortunately the whole area was redeveloped between 1950s - 1970s and Bolwell Terrace no longer exists.